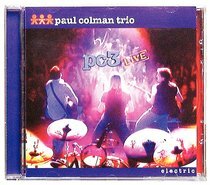 The Paul Colman Trio have become Australia's favourite Christian music act through awesome albums, relentless touring and amazing live shows. The Trio have captured the energy, power, emotion and fun of their concerts on two new live CDs and a brilliant live video. The ACOUSTIC CD captures a more intimate and emotive set while the ELECTRIC CD shows how the Trio can rock. You can buy these individually, but why not purchase all three and save almost $30.